Organizations looking to harness massive amounts of data are leveraging data lakes, a single repository for storing all the raw data, both structured and unstructured. The key to making a data lake successful is using metadata to provide valuable context through tagging and cataloging. This practical book examines why metadata is essential for managing, migrating, accessing, and deploying any big data solution. Authors Federico Castanedo and Scott Gidley dive into the specifics of analyzing metadata for keeping track of your data—where it comes from, where it’s located, and how it’s being used—so you can provide safeguards and reduce risk. 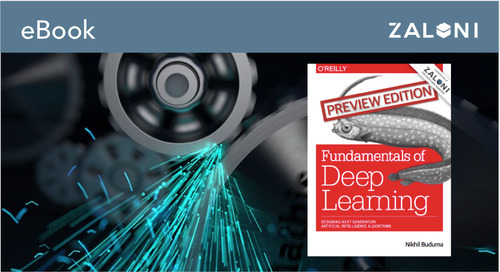 In the process, you’ll learn about methods for automating metadata capture. Interested in setting up a data lake for your organization? 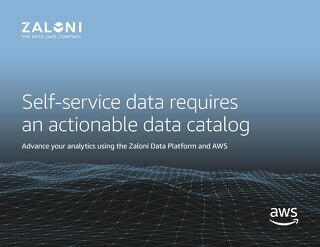 How about cleaning up your current data lake? Reach out to us and we'll be happy to help! Federico Castanedo is the Lead Data Scientist at Vodafone Group in Spain, where he analyzes massive amounts of data using artificial intelligence techniques. Previously, he was Chief Data Scientist and co-founder at WiseAthena.com, a start-up that provides business value through artificial intelligence. For more than a decade, he has been involved in projects related to data analysis in academia and industry. He has published several scientific papers about data fusion techniques, visual sensor networks, and machine learning. He holds a Ph.D. in Artificial Intelligence from the University Carlos III of Madrid and has also been a visiting researcher at Stanford University.